The season is rolling on and so is the parade of fantasy contributors. The week 7 waiver wire picks have the latest batch of players that can help you achieve fantasy success. Some are already putting up numbers, while others are about to break out. After a mediocre start Trubisky was waiver wire fodder, but things have changed. The Bears and their young quarterback are on a roll offensively. Trubisky has scored over 30 points in 2 straight games and has several beatable defenses on the horizon. Many people had given up the Cowboys offense for dead, but they have shown signs of life. Prescott engineered a beatdown of the vaunted Jaguars defense and he has his team looking dangerous again. The last few years have seen the Falcons roll out great starting running backs. Ito Smith was not on those teams, but he is continuing the tradition in the absence of Devonta Freeman. Tevin Coleman is getting his touches, but Smith is very much worthy of a start. Duke Johnson is back to doing what he does. Catching passes and scoring fantasy points. 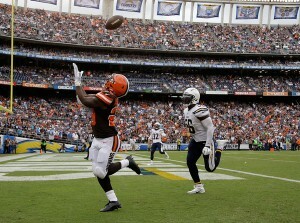 The Browns finally remembered that they have an amazing receiving threat out of the backfield. After weeks of saying that he wanted to get Johnson involved, Hue Jackson finally made good in week 6. There is reason for optimism heading forward. Speaking of optimism, there should be plenty of that surrounding Murray if he is starting. He has shown throughout his career that he can get the job done when given an opportunity. If Dalvin Cook can get healthy, then Murray is more of a goal line type flex pick. The Colts backfield is tough to predict, but Mack looked very good against a solid Jets run defense. There are a lot of mouths to feed, but Mack does have the tools to be successful if he is given enough touches. I mentioned Hue Jackson talking about getting backs more touches earlier. He is now saying the same thing about Nick Chubb, who is looking better than Carlos Hyde on very limited touches. If he can get more involved in the gameplay, the upside is tremendous. I would grab Chubb now, while he can be had for nothing. It has been a disappointing year for fantasy managers that drafted Goodwin as their WR2. He has been hampered by injuries and ineffective quarterback play. On Sunday, he finally got on the same page as C.J. Beathard and the results speak for themselves. Goodwin grabbed 4 passes for 126 yards and 2 touchdowns. If that rapport sticks, big things will follow for the speedster. There have been some small sample periods of success for Gabriel earlier in his career, but this looks different. He is seeing a big volume of targets from Mitch Trubisky and turning them into points. After going over 100 yards in back to back games, Gabriel looks like a starting receiver in fantasy. It was a down week for Coutee and the Texans, but he is still worth having on your team. The targets are there for the rookie receiver and he is always a threat to break a big play. After what Cole Beasley did to the Jags last week, Coutee could be a sneaky start option out of the slot. This guy has been a breakout candidate for two years and his time may be here. He did not really click with Ryan Fitzpatrick, but Godwin has a much better rapport with Jameis Winston. If he and Winston can stay on the same page, then Godwin could be a big contributor down the stretch. Right now, Kirk is the WR1 for the Cardinals. That does not mean that he is the WR1 for your fantasy squad of course. That will not happen for a year or two, if ever. Right now, though, Kirk is a solid contributor for PPR squads as he projects to see a good volume of targets going forward. The receiving corps in Indy is banged up and things are only getting worse. While that is bad news for the Colts, it has been a boon to Chester Rogers. He is one of the only receivers on the team with legitimate NFL experience. As such, Rogers has been given an opportunity by Andrew Luck and that will continue as long as he can stay on the field. Howard should be top waiver priority this week. Tight end is a nightmare and he is a game changer. Heading into the season, Howard looked like a budding TE1. That was derailed temporarily by injury, his play has been very solid. Now that Howard is back on the field, he is also back to producing at a high level. He caught 4 passes for 62 yards including a score in week 6. 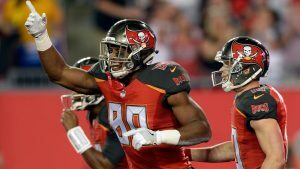 Over the rest of the season, Howard should be a top tier tight end and should be added in all leagues. This position is so thin that this may be your last chance this season to have a stud at the position. Do whatever you can to acquire Howard before his price explodes. This pick is not in the same stratosphere as Howard, but he is the next best TE that is fairly widely available. The Steelers use the tight end position a fair amount, but it does not tally up a ton of fantasy points. McDonald will have his games, but mainly he is just a guy. The best guy available after Howard, but just a guy. Be sure to come back tomorrow to check out the weekly positional rankings. Follow me on Twitter for extra insight and analysis. I am also glad to answer your questions: @brendancole16.